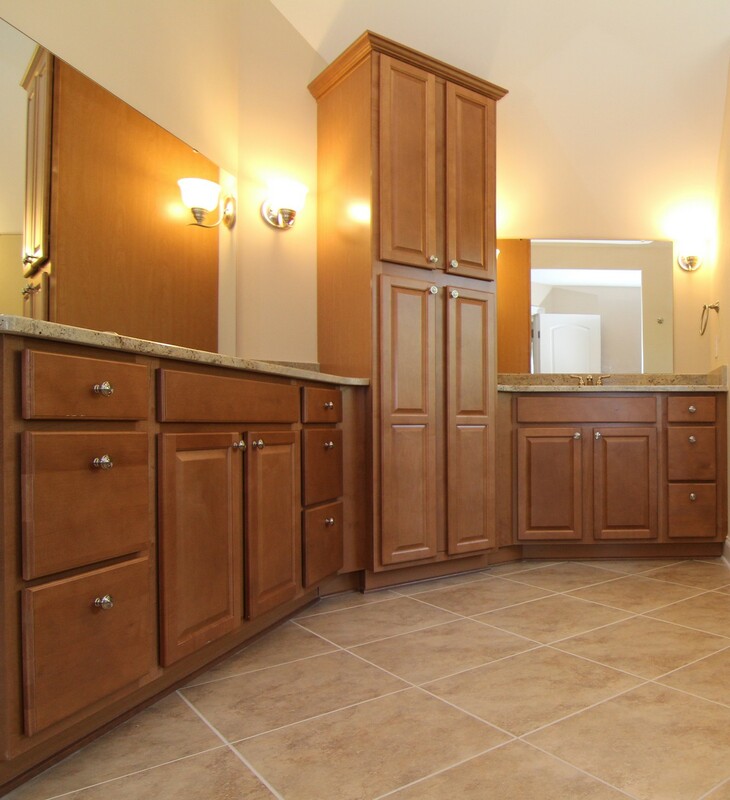 Beautiful new home ready for move-in - see the Mackinaw now in Pittsboro! 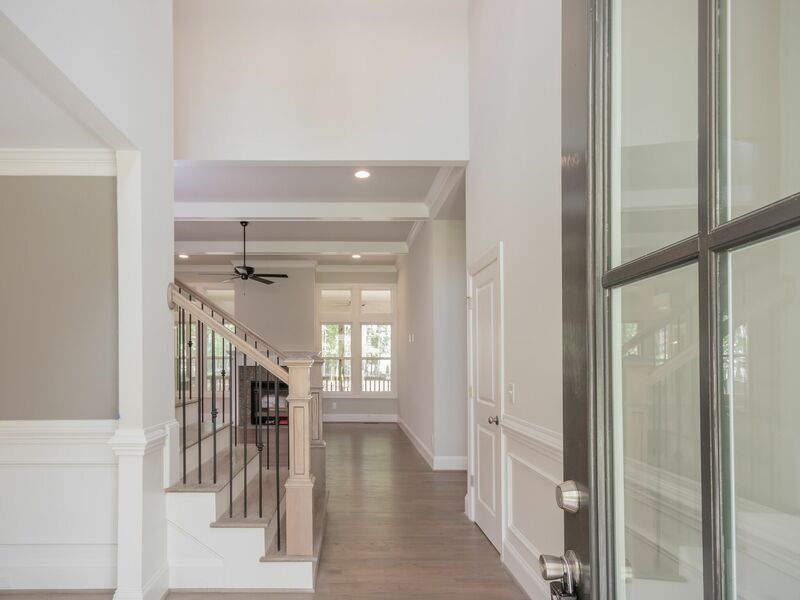 This beautiful Modern Farmhouse, The Mackinaw, is designed for family, with 3,475 sq ft, 4 bedrooms, 3 baths, main floor master, first floor guest, bonus room, media room, and loft on 2+ wooded acres in a custom home neighborhood in Pittsboro NC. Brick steps, brick foundation surround, board and batt details: Welcome Home. 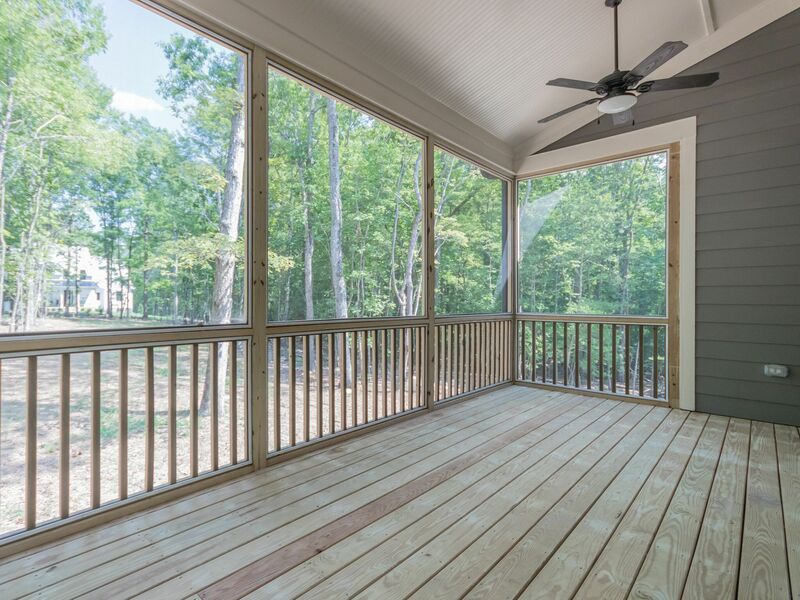 The big front porch on the Mackinaw has beadboard ceiling with inset can lights, brick edging, white painted railing, and lots of space to sit outside under roof to enjoy the wooded lot and neighborhood views. 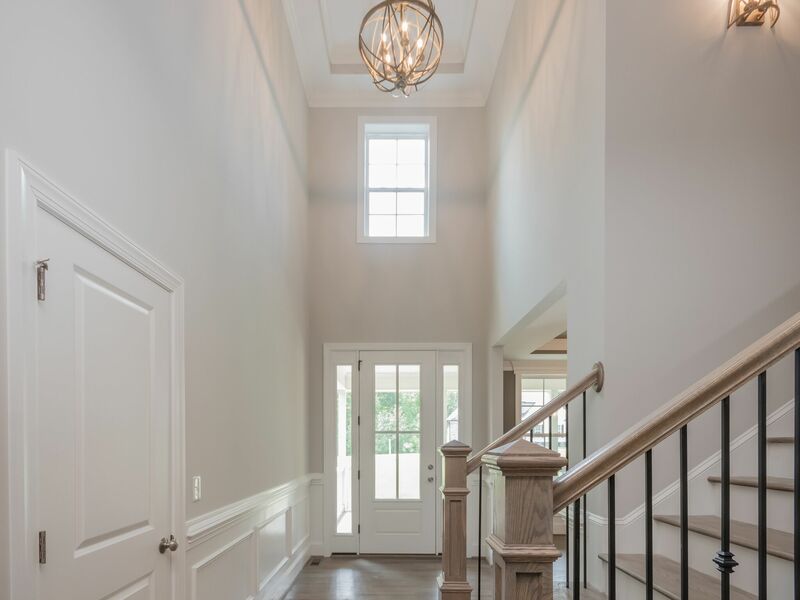 From the moment you step into the Mackinaw you'll feel the spaciousness and comfort of solid oak hardwoods, oak handrails, wrought iron railing, chair rail and wainscoting in the Entry and Dining Room and the big open space of the Great Room beyond. 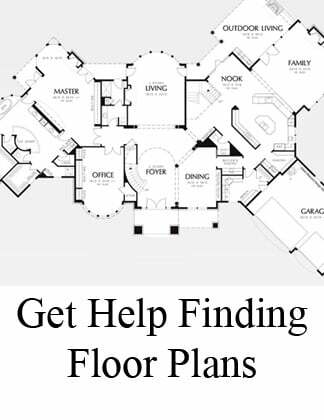 The two story entry has a tier ceiling and window for more natural light over the top. 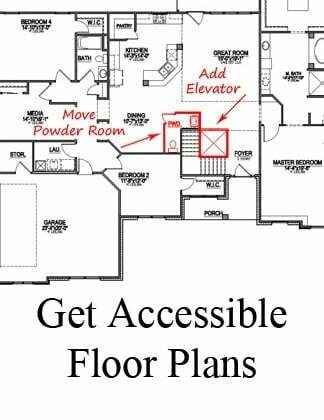 The stairway location is set off from the entry, with easy access and layout appeal. 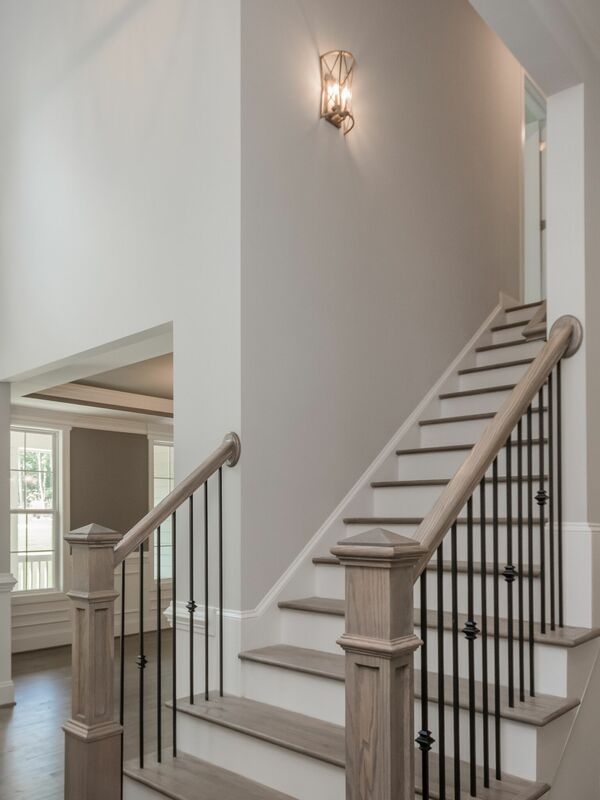 Note the detail work on the stairway - from wall sconces to oak and wrought iron. Check out this Amazing Kitchen! The gorgeous Sous Chef Kitchen has a massive granite topped Big Kitchen Island with tuck under seating. Recessed can lights, pendant lights over the Island, under counter lighting, and lots of adjacent windows light up everything about this Kitchen. Appliances are stainless steel, including a double wall oven, microwave and energy saving dishwasher. The gas cooktop with hood is surrounded by Premium 42 inch overhead cabinetry, granite countertops, massive drawers and cupboards with soft close doors and drawers, and under cabinet lighting. The ultimate open floor plan! The open floor plan in the Mackinaw feels even bigger with an entire wall of windows across the expansive Great Room - and more beyond. 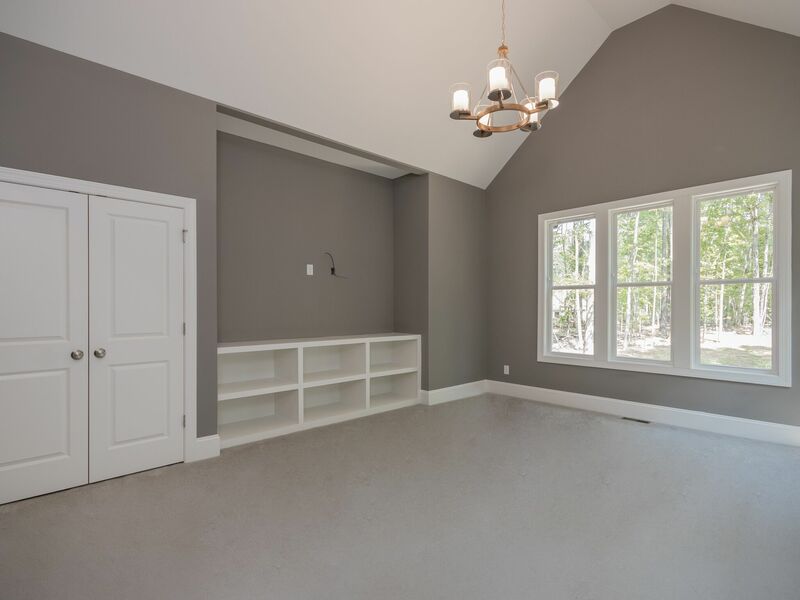 Your family and friends have plenty of room to spread out and enjoy this gathering area. 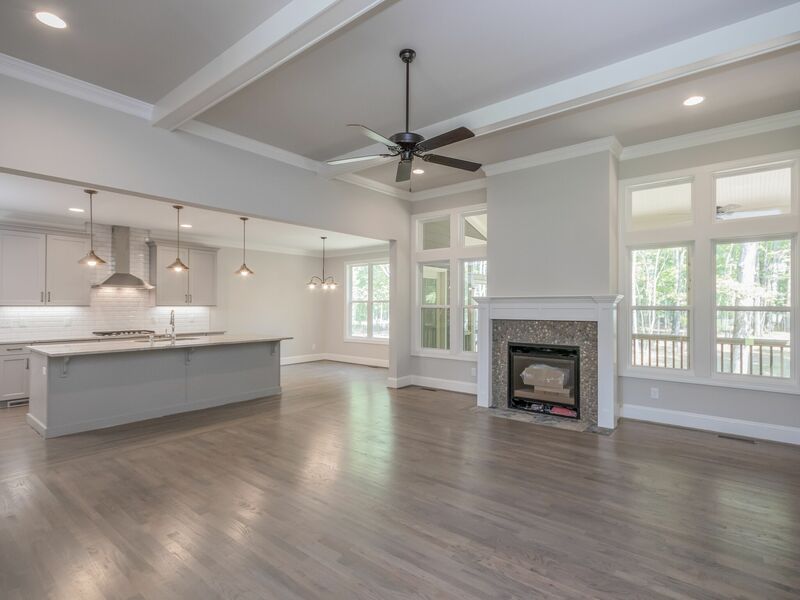 With a ceiling fan above and site finished real oak hardwood flooring and a hand-built mantle encasing the tile surround fireplace, this home was designed for comfort. The gorgeous fireplace with tile surround and hand-built mantle in the Great Room - followed by a treehouse-view screen porch beyond is one of the focal points of the gathering area. Solid oak hardwood flooring is in all of the general living areas. The huge Great Room is designed for big gatherings within easy reach of the Kitchen. 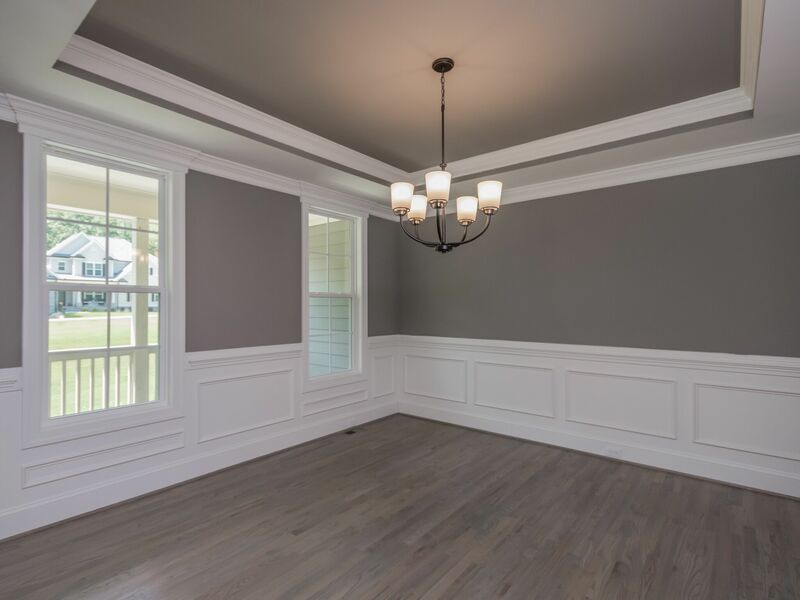 The formal Dining Room has a trey ceiling with a ribbon of color that emphasizes layering, several windows that light up the room, wainscoting, chair rail, two piece crown molding, and solid oak hardwood flooring. 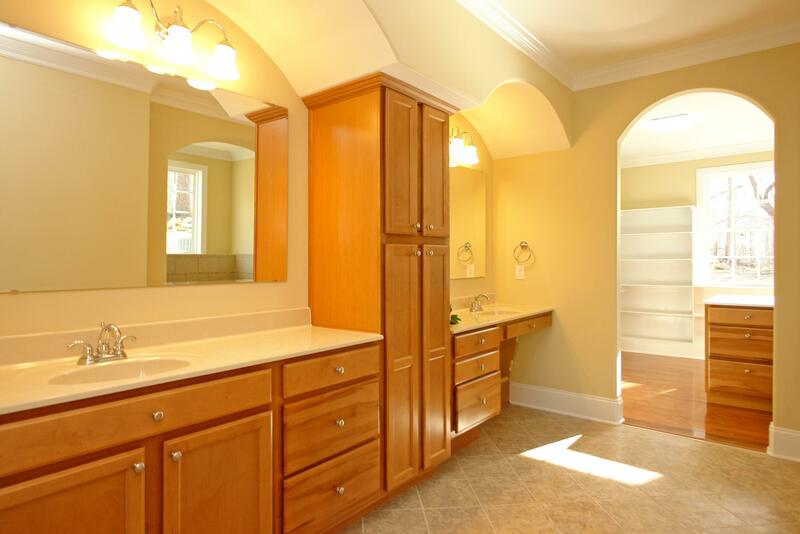 The door way to the Kitchen from the Dining Room has a barrel vault ceiling, for additional interest and formality. 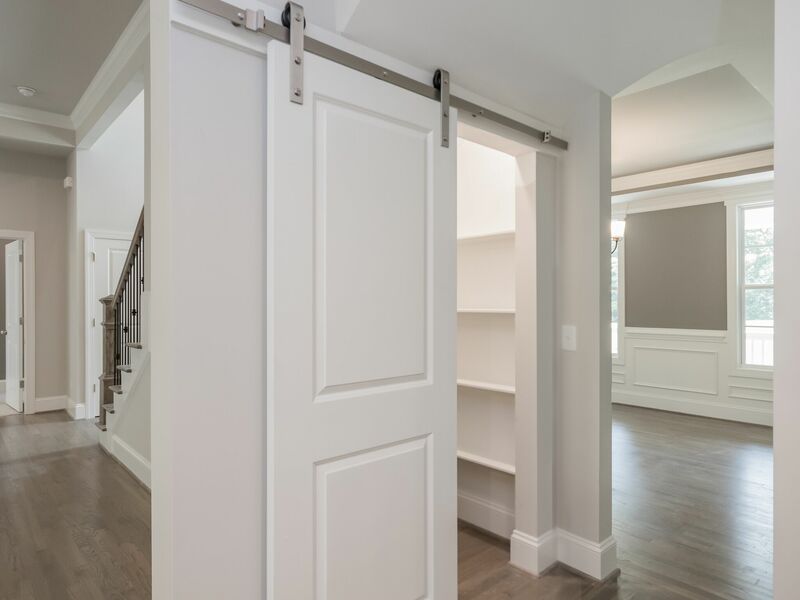 Tucked in between the Kitchen and Dining Room for easy access, a big walk-in pantry has a barn door for even more usability and appeal. 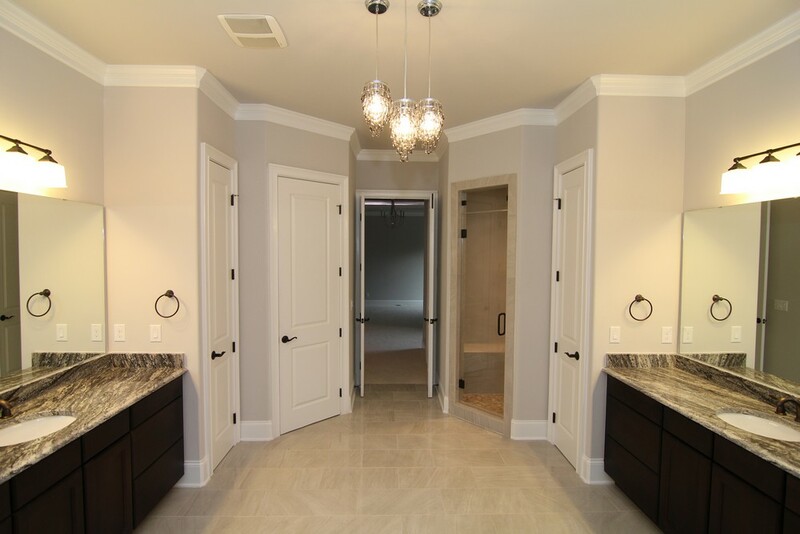 Ask what comes included in the built in entertainment center in this Master Suite Retreat! 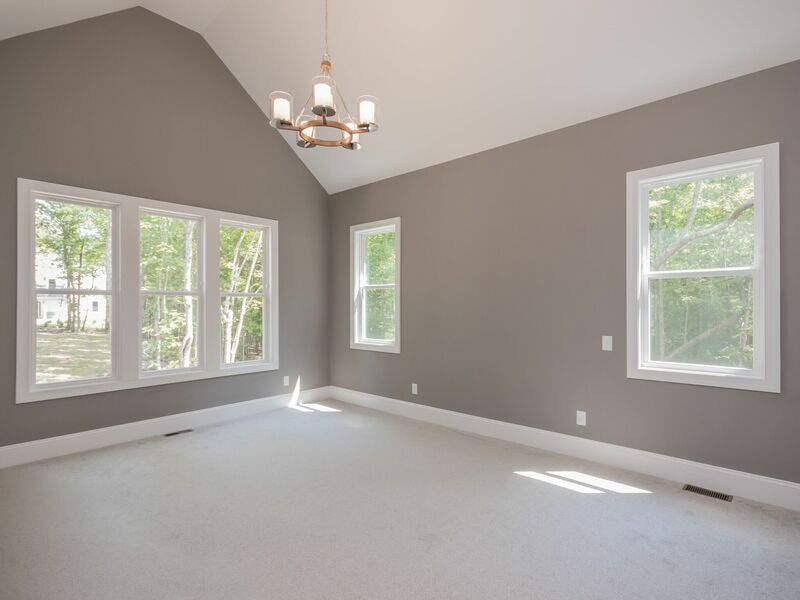 The Master Suite Retreat is loaded with windows, with wonderful views and natural light. 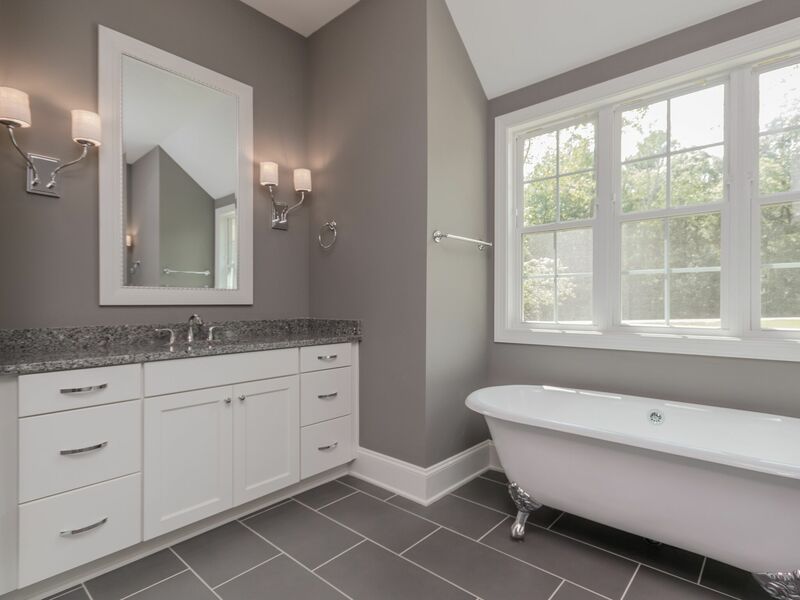 There are two full vanities in the Master Suite bath, and a glorious standing tub with natural light to enhance the bathing experience. 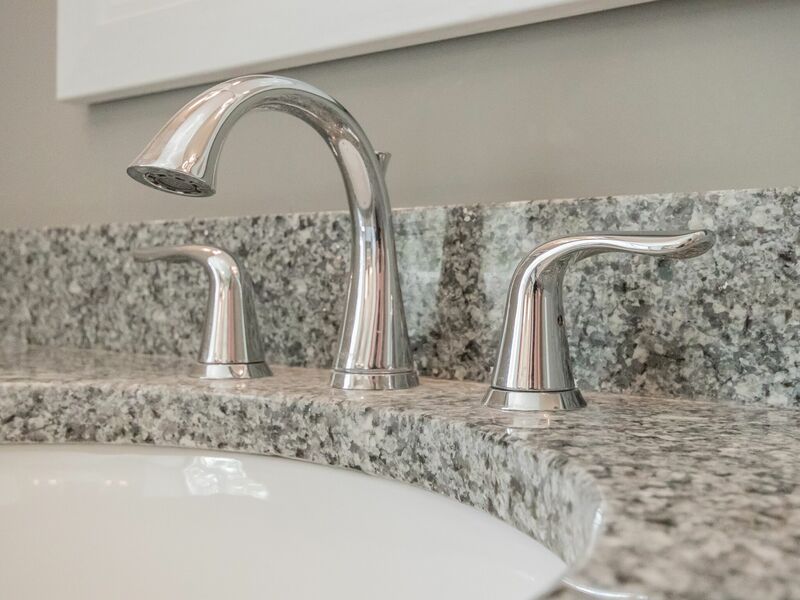 The vanities have granite countertops, oval sinks and beautiful faucets. 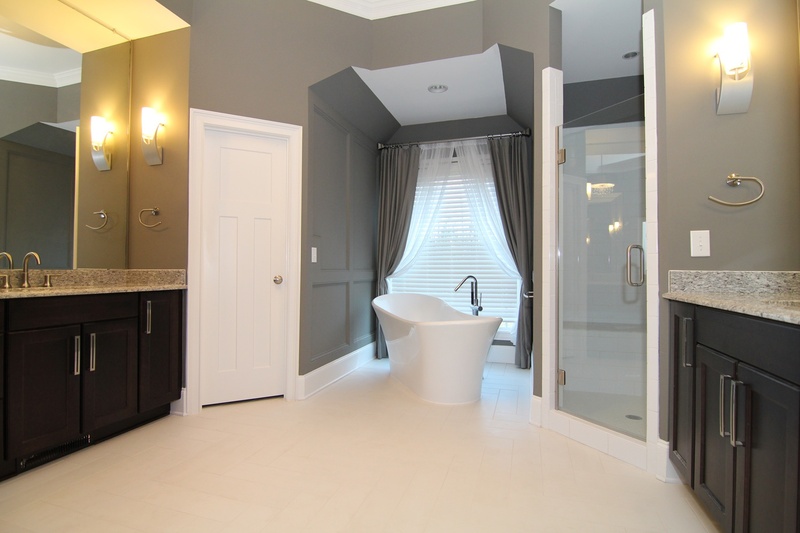 A separate shower is located away from the tub, next to the second vanity. 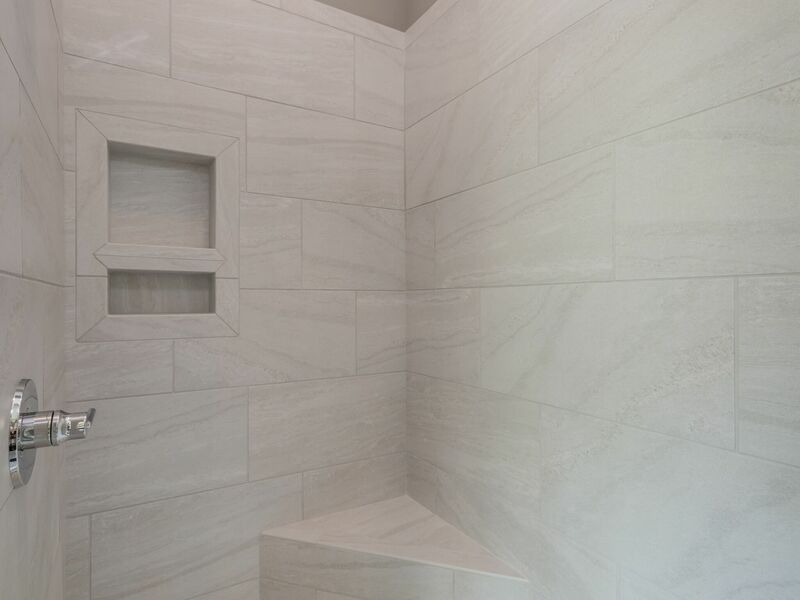 The master shower is all tile, with a cobblestone floor and built in bench and cubbies. 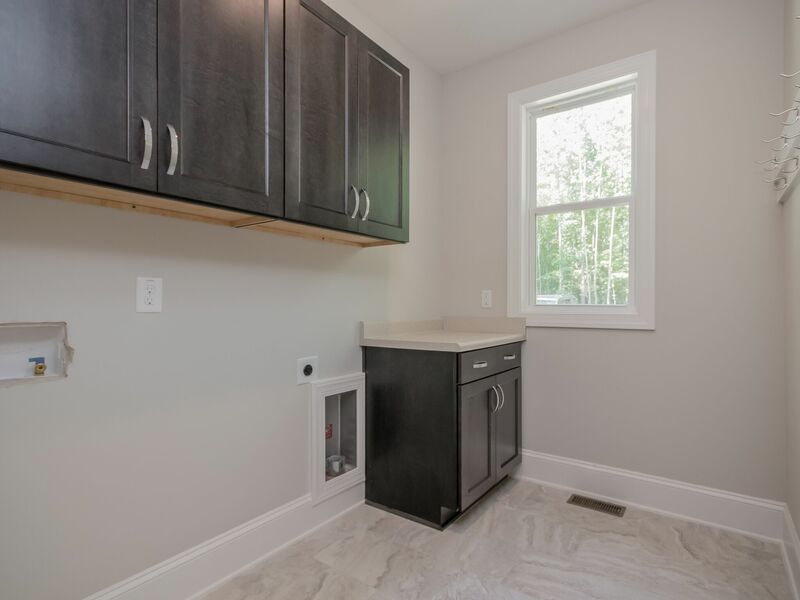 The laundry room has premium cabinetry with soft close doors and drawers, with two full 42 inch upper cabinets and a lower cabinet with folding counter. The floor is tile, like all the bathrooms in the home. The huge screen porch has a fan in the beadboard raised ceiling and screen on all the outside walls as well as under the decking. Views take advantage of the big yard, with other custom homes in the neighborhood far enough away for privacy. The back of the home is just as beautiful as the front, with big windows, hardi exterior, screen porch, and access into the yard. The amazing energy efficiency built into this Stanton Home is independently certified - just wait until you see what this means for lower heating and cooling bills. 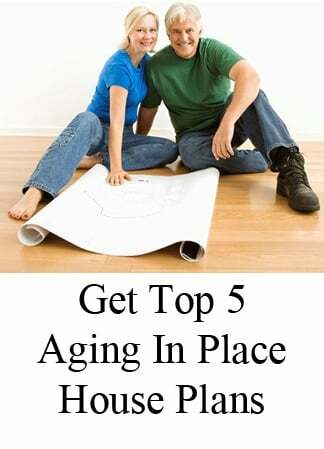 Call 919 800 1703 for more information. 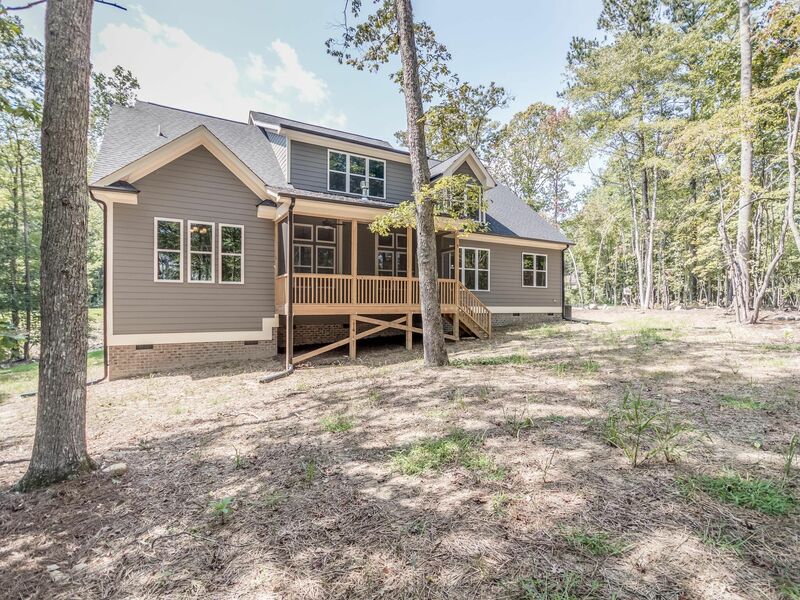 Another new home available now in Pittsboro. 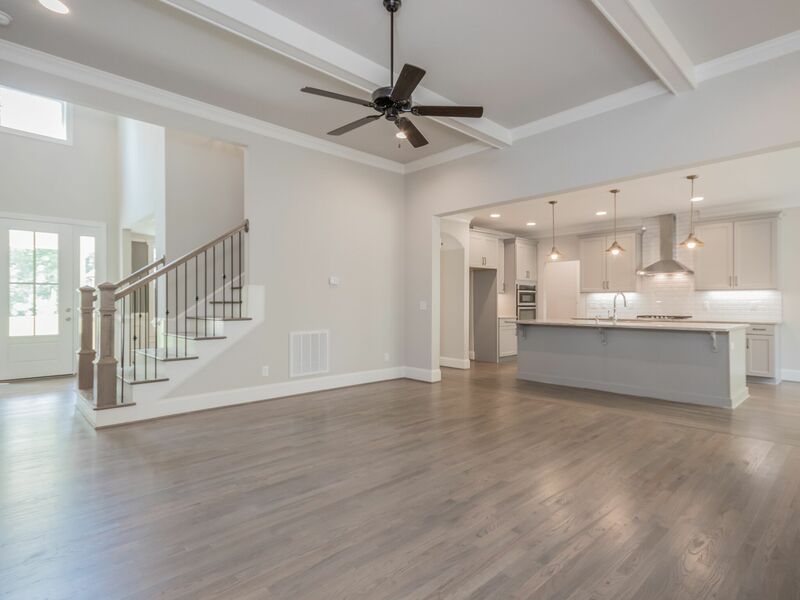 The Glenview is a beautiful new Modern French Country home built with custom features throughout by Stanton Homes. It has 3,311 sq ft, first floor master, main floor guest suite/study and an open floor plan designed for today's lifestyle with 4 bedrooms, 3 bathrooms and rare privacy on a 2+ wooded acre lot with incredible views! 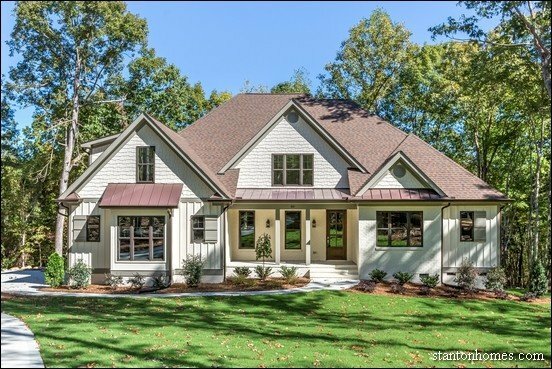 This amazing new home is a must see, in Horizon, a beautiful custom home neighborhood in Pittsboro, NC. 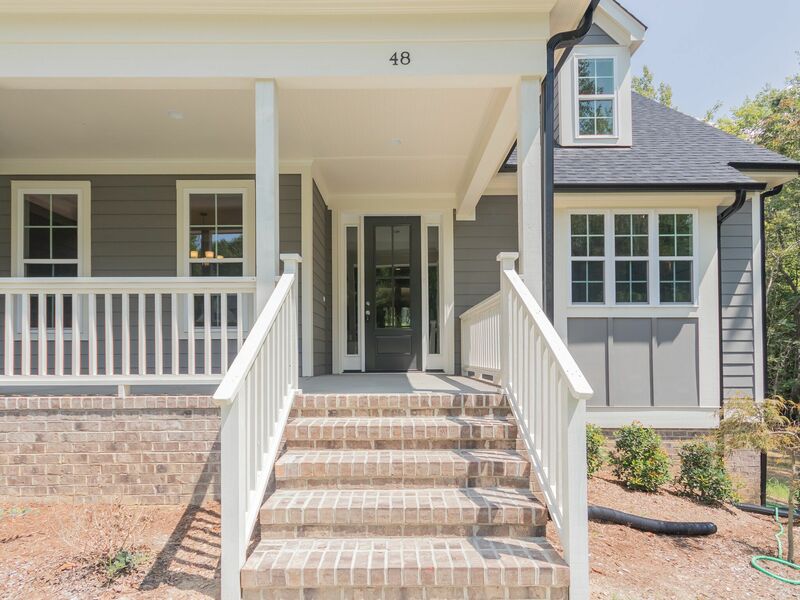 This story-book setting is tucked away from the street, with a sweeping driveway to take full advantage of the gorgeous curbside appeal of this stunning new home, available now in Pittsboro NC. 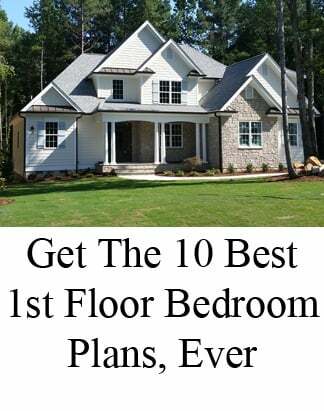 Just wait until you see the wooded views and privacy on the back of the home! 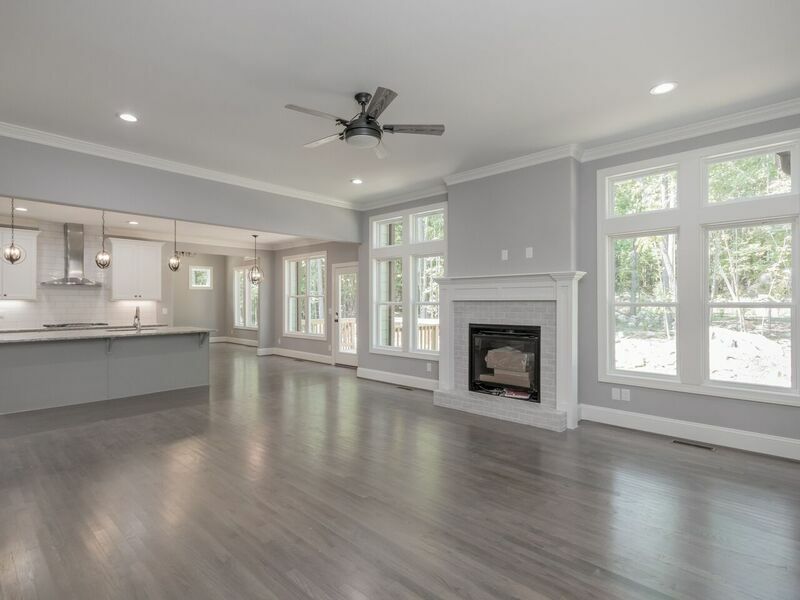 The Great Room in the Glenview has an 11' ceiling - allowing for extra height to emphasize the importance of this huge gathering room, while allowing for a step-up bonus room over the top. A wall of windows frames the fireplace with a focal point tile surround and hand-built mantle. 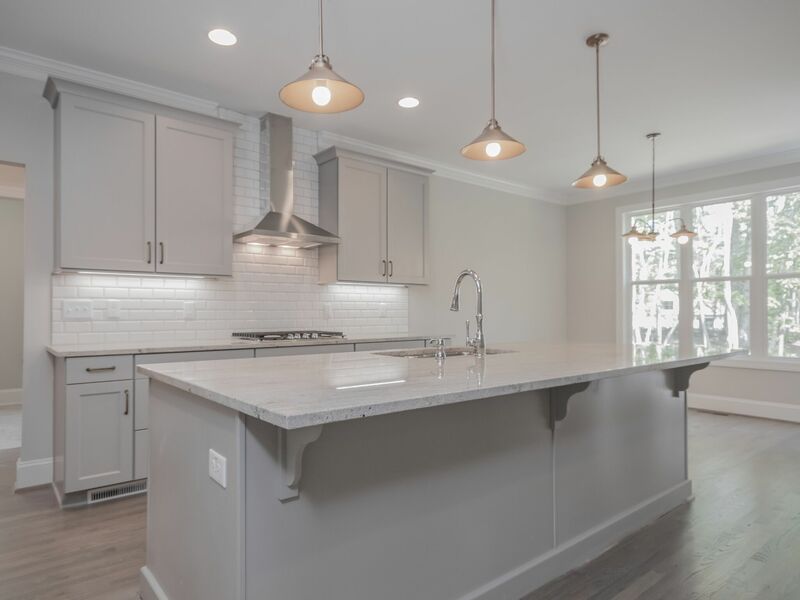 The Chef's Kitchen in the Glenview has lots of premium cabinetry storage, with soft close deep drawers and spacious cupboards, gorgeous granite countertops, and stainless steel appliances including a gas cooktop with hood, wall oven and microwave. This Kitchen is filled with light, including pendants over the Island, can lights, and natural light from a window over the sink as well as the wall of windows adjacent. The drop zone has plenty of hooks for hanging, big bins for storing stuff, and a convenient location just inside the garage door and across from the laundry room. There's even space to sit, to take off your shoes. 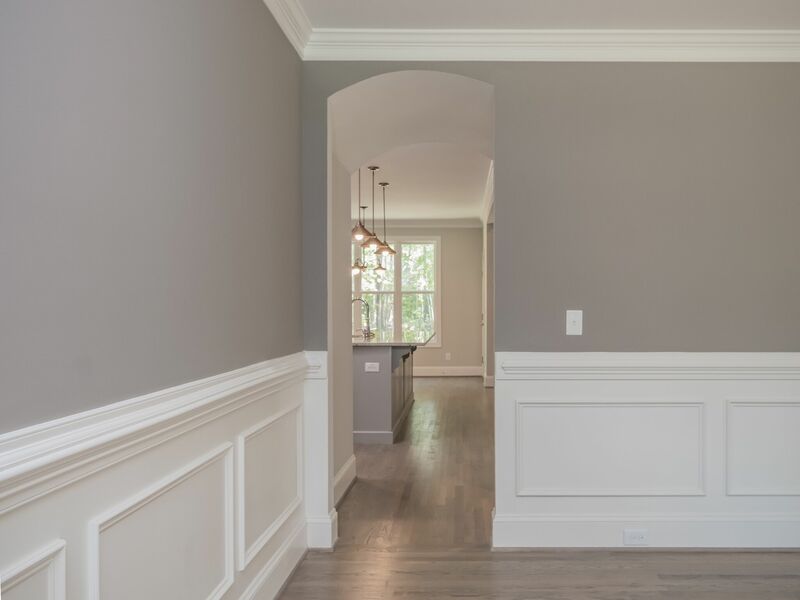 All shelving in the entire Glenview home by Stanton Homes is wood, not wire. Sighs of happiness will be what you feel when you see this walk-in pantry. Massive amounts of shelving for everything you want to store - plus bonus shelves for spices, soups, or anything else you want to tuck away - made possible by the barn door that slides outside - leaving extra space to take advantage of for all the small stuff. 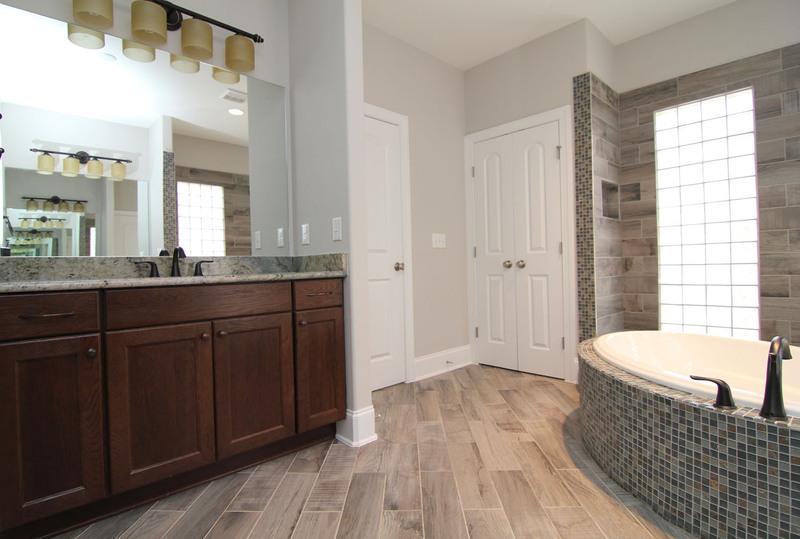 The Master Suite Bathroom in the Glenview is set in gorgeous tile - floor, tub surround, shower... all chosen to blend beautifully in color and texture. The big shower has a built in bench - with the entire shower tiled and a light over the top. The rectangle soaking garden tub has a big picture window over the top with soothing views of the wooded acreage out back. The toilet room is private. 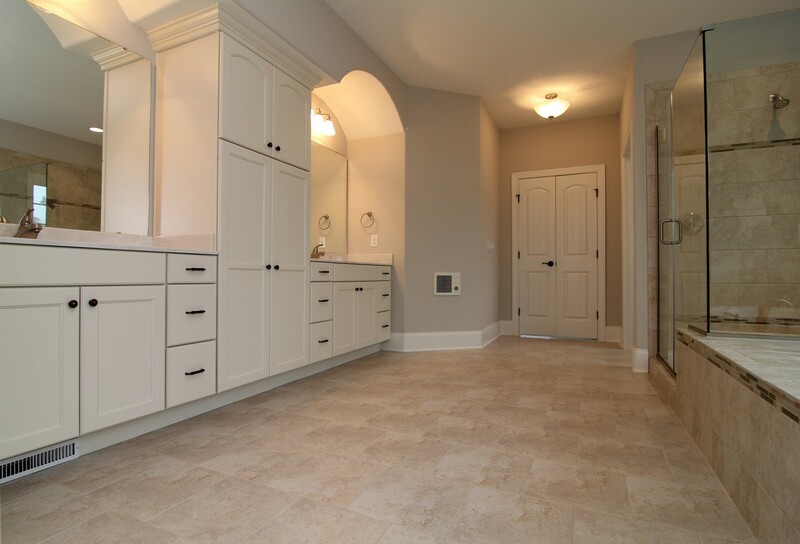 Now that's a master suite closet! 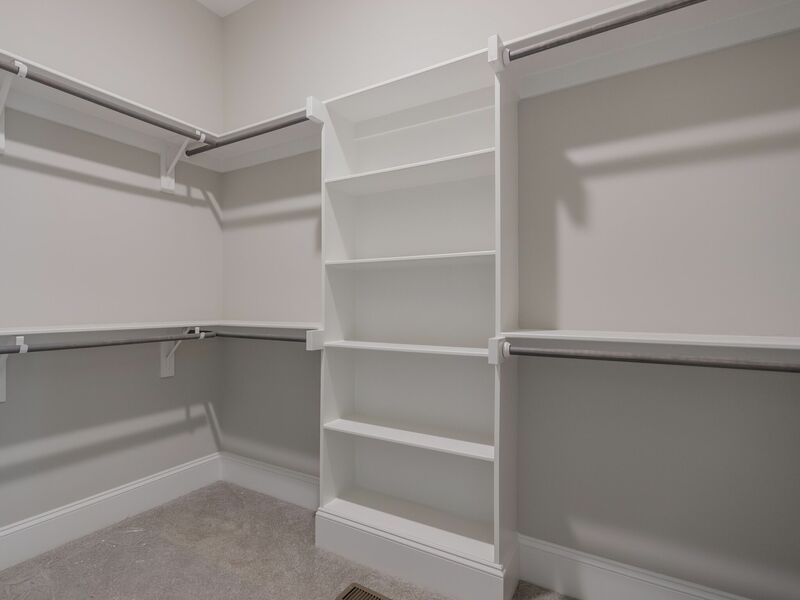 The Master Suite Closet has wood shelving and rods designed for easy access to lots of space for hanging and storing. Extra storage cubbies are built in at the back of the closet. The window provides extra light. 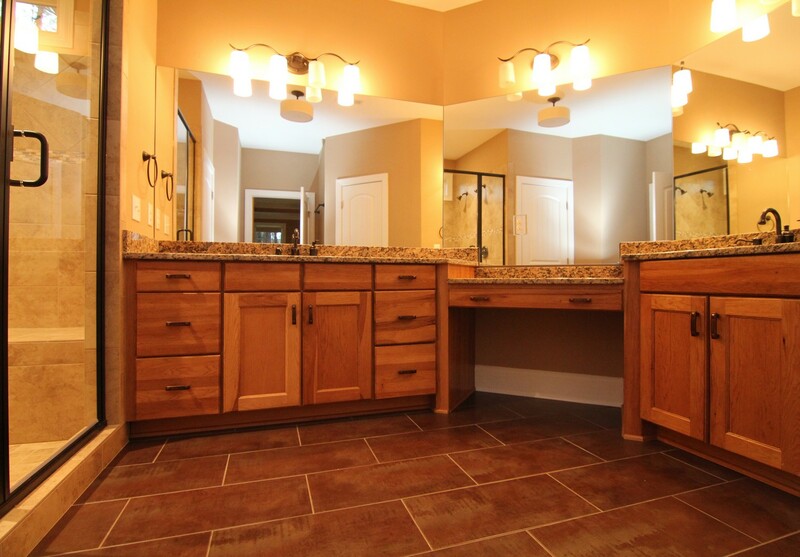 Solid oak hardwood flooring makes cleanup easy. 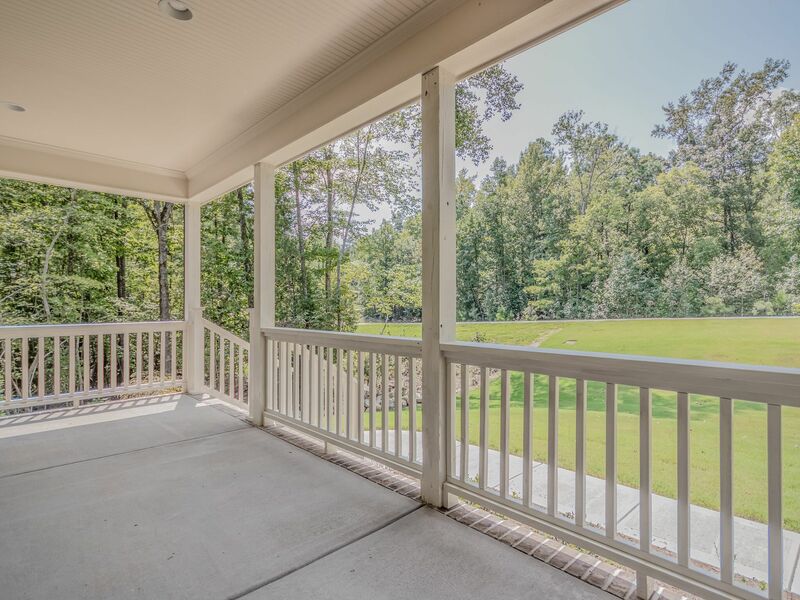 A massive screen porch conveniently located next to the Great Room and Breakfast Room has screened walls on all exterior walls as well as screening under the floor boards, to contribute to the serenity of this spacious indoor/outdoor living space. There's a fan in the beadboard ceiling, and an incredible view of the 2.3 acre wooded lot. Energy efficiency is independently certified. 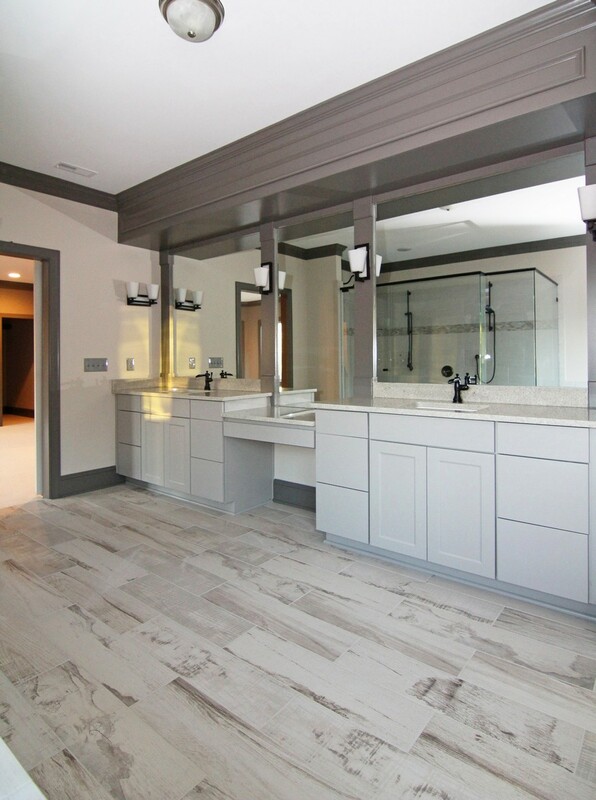 The exciting difference that makes in lowering heating and cooling bills is detailed by an independent energy company that tested this custom styled home throughout its build. 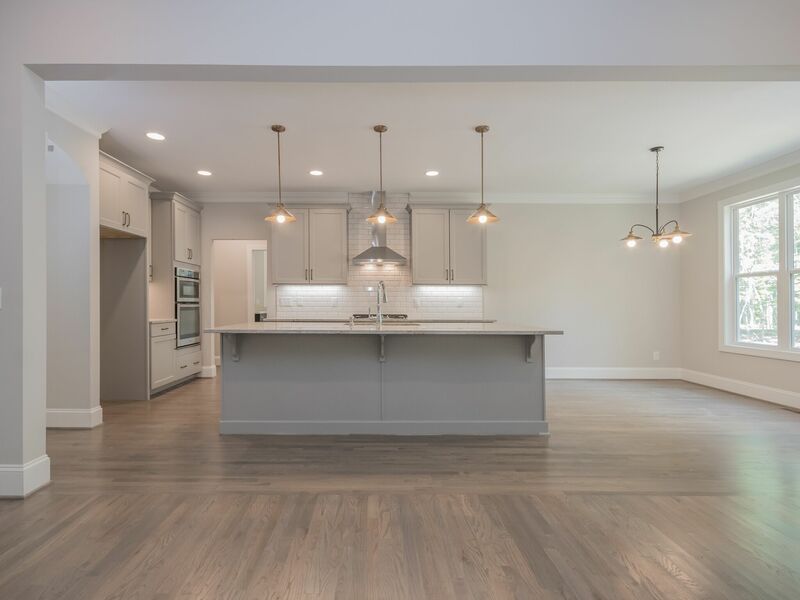 This stunning Modern Farmhouse, The Mackinaw, is designed for family, with 3,475 sq ft, 4 bedrooms, 3 baths, main floor master, first floor guest, bonus room, media room, and loft on 2+ wooded acres in a beautiful custom home neighborhood in Pittsboro. 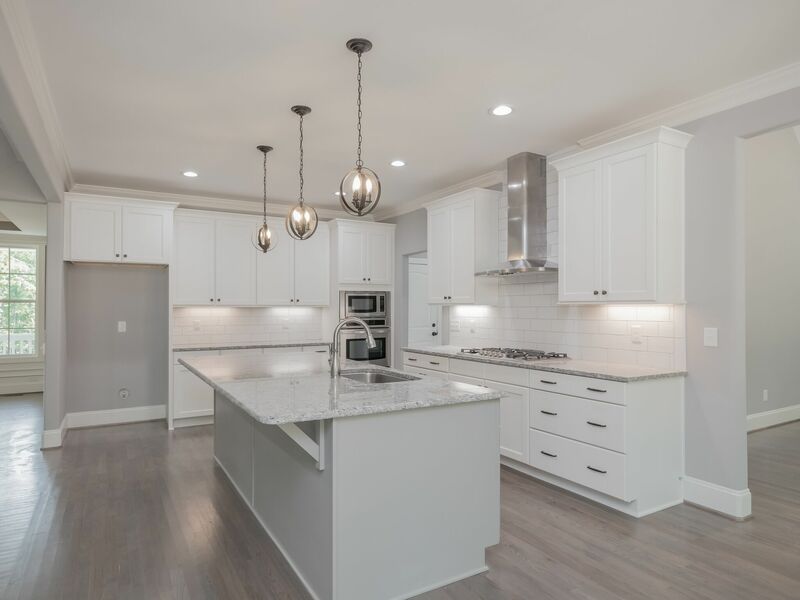 The huge kitchen has your lifestyle in mind, with a huge island for gathering, gas cooktop with hood, wall oven/microwave, premium cabinetry with spacious soft close doors and drawers, granite countertops and wall oven and microwave. 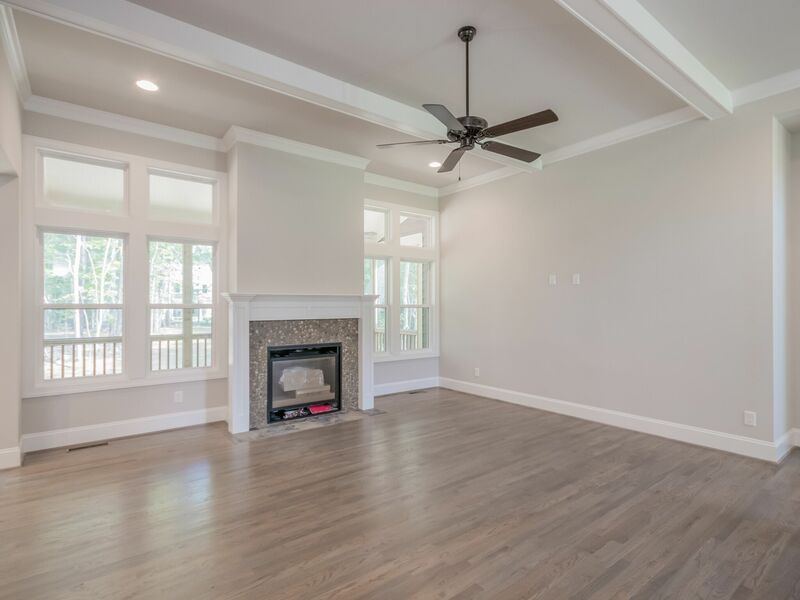 The open floor plan has a great room adjacent to the kitchen with a wall of windows, beautiful fireplace with tile surround and bench, and real oak 3/4 hardwood flooring. The real oak hardwood flooring continues throughout the entire living area on the main floor. 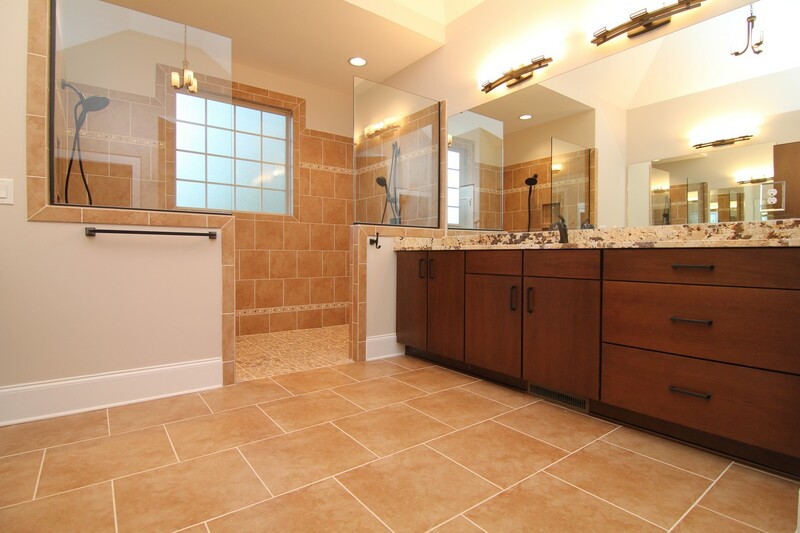 All bathrooms and laundry room have tile floors. 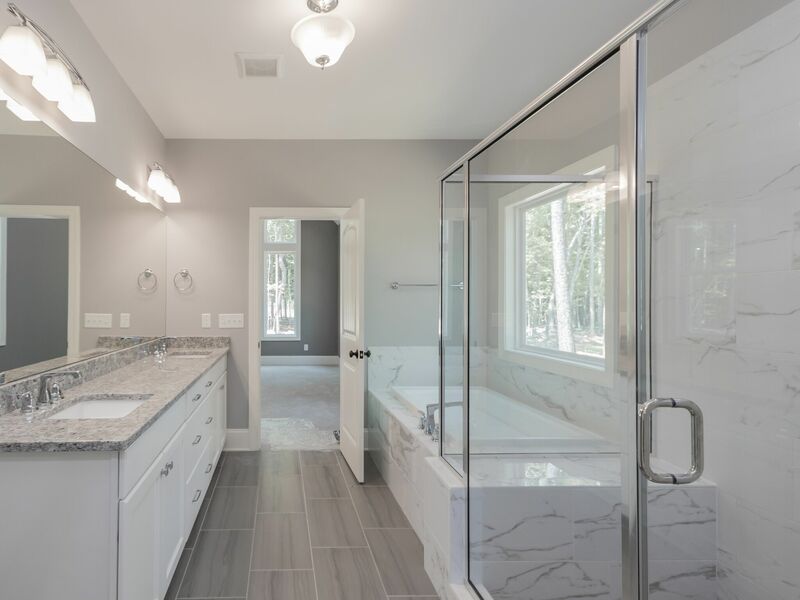 The master suite bathroom has extensive, dual vanity granite countertops with big sinks and premium softclose doors and drawers in the cabinetry. 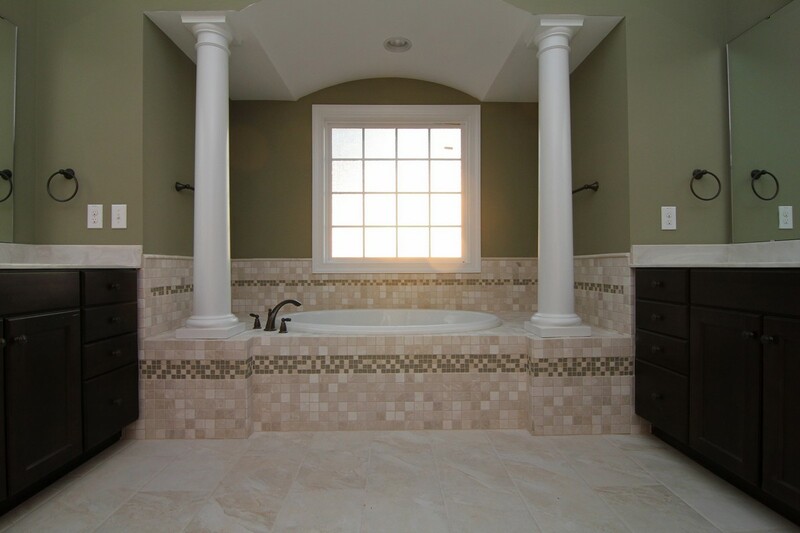 The rectangular soaking garden tub has a gorgeous tile surround. 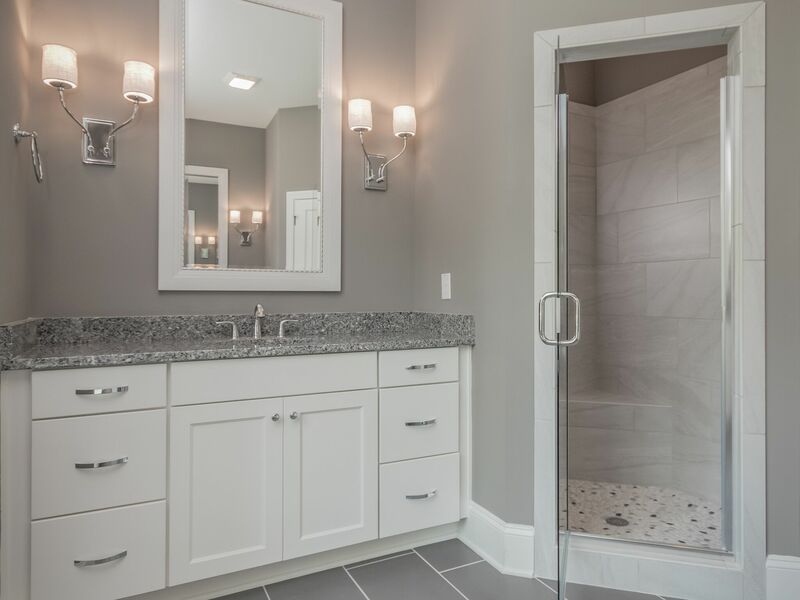 Huge shower has a built-in bench. Energy efficiency is independently certified, for lower heating and cooling bills. 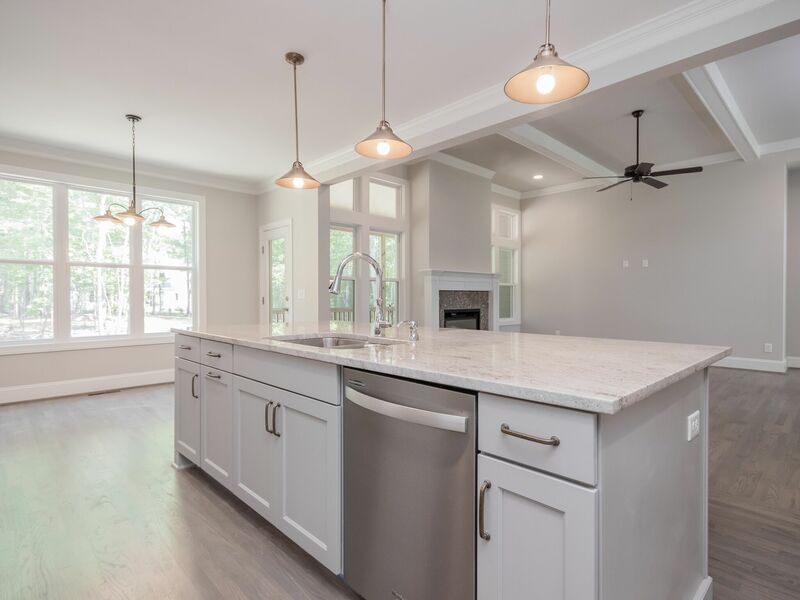 Click on the Glenview photo below for more information about this new home available now in Pittsboro.